Heat the olive oil in a large skillet over medium-high heat. When the oil is hot, carefully add the potatoes to the pan (work in batches if you need to; you don’t want things to become overcrowded). 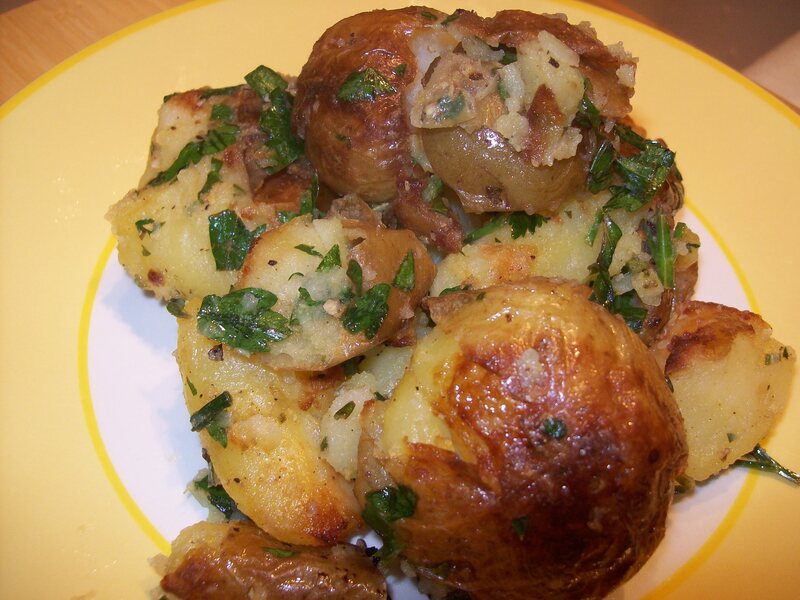 Cook the potatoes until lightly golden brown and crisp on each side, turning once. Transfer the hot potatoes to a bowl. Generously season with salt and pepper, then add the lemon juice and herbs and toss to coat. Taste and adjust the seasonings as needed. Let the potatoes sit for 5-10 minutes before serving so they absorb some of the flavors.